Apologies that this has been so late… grovelgrovel and all that jazz. Edit: I added more pictures because someone was complaining. There were tons of people already waiting at the theatre when I got there and the queue snaked around the building like… well, a snake. A snake of fellow literary minded folk. Literary minded folk who were all about 20 years older than me. I swear I’ve never felt younger in my entire life. Even those times when I attended that over 50s Pilates class by accident. And I felt hideously aware of the fact that these guys probably had been writing non-stop for those 20 years. And I’d only been seriously writing for about 2 years. But I shook my doubts away and pretended that I had an edge because I was young and therefore had more time to be rejected by agents write my bestseller. Anyway, they let us in to the HOTTEST theatre in the entire world and the front rows filled up pretty quickly. I didn’t mind because there was still the niggling fear that they would start to bring up people and ask them to enact their manuscript out using the underused art form of interpretive dance. So I climbed up to the top of the theatre, forgetting miserably the fact that hot air rises, and got out my notepad… to use as a fan. Then they turned off the lights and we were all plunged into darkness and my stomach dropped. But like I said in my earlier post I managed, like a blogging ninja, to find a ray of light coming from some unknown source and, positioning my notepad at a jaunty angle, readied my pen to write down their words of wisdom. Just a quick run down of the panellists in case you didn’t read my earlier post and have absolutely NO idea what is happening right now and you just came to my blog because you thought I’d give you advice on how to wear an old coat and look classy. Barry Cunningham – Founder of Chicken House Publishing and man responsible for bringing Harry Potter to print. Zoe King– A literary agent with the The Blair Partnership who represent Ms Rowling and are behind Pottermore. Sophia Bennett – Author of the Threads series. Melvin Burgess– General literary BAMF and author of books such as The Cry of the Wolf, Junk and, his latest, Kill All Enemies. Amanda Craig started off the discussion by asking the panel what they thought made a good children’s book. Actually… wait before I start to talk about what else he said , I feel like it’s my duty, as a serious highbrow blogger, to tell you how ridiculously cool Mr Cunningham looked that evening. Due to the immense heat, my contact lenses had started to dry out so I apologise to him if the following description is incorrect. But BASICALLY he was part Terry Pratchett and part Martin Scorsese… WITH RED SOCKS ON and a brilliant hat. Also, he was ignoring the glass of water that someone had left for him and was merrily supping on a bottle of Diet Coke. 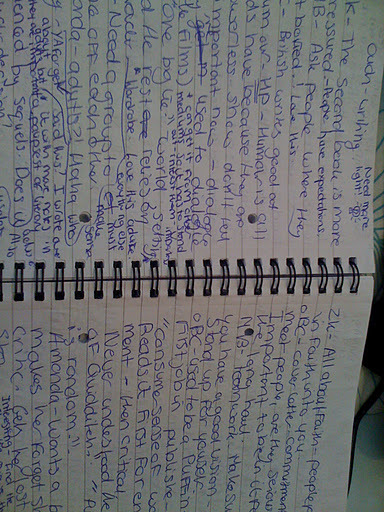 This has absolutely nothing to do with how to get your YA book published (I wish, for if there was correlation between Diet Coke consumption and your chances of getting published… I’d have a ten book contract right now) but I thought it was fantastic and put the irrational thought of ‘Oh gosh, all publishers are terrifying and serious and only drink water’ out of my mind. Mr Cunningham explained that the key to a great children’s book is plot and pacing. Without these, you have nothing. Mr Burgess agreed and said that a successful book needs to be fast-moving because at the first sign of slowing down teenagers will skip. Then Mr C declared that “Everyone skips dream sequences”… and everyone laughed. Except one woman in front of me, who proceeded to do some furious scribbling in her notebook. I can only imagine that she was deleting a large section of exciting dream sequence. Mr Burgess laughed and explained that “Dreams are cheating” and are only included in a novel when you can’t think of an action or dialogue. I laughed and sat smugly in my seat because my book doesn’t have dream sequences and am therefore full of knowledge I didn’t know I even had. But then I recalled that there are points where I can’t think of an action or dialogue. So what is in my book? As I tried to answer that question I soon realised I’d missed the next question, but from the answer that Ms Zoe King (who had an absolutely gorgeous dress on… and fabulous shoes. My head was in the theatre, I promise you. But they were so pretty….) said: “Write for your younger self”. So I can only presume the question Ms Craig asked was: Who should you be writing for? Mr Burgess told us that no author should make up a kid to write for. All children are different and will like different things and there is no sure way to guess what they will like. Then he explained that the “reader is one of your characters”… which I loved. Because they’re the ones who are reading your book and they’re the ones who are getting to know your characters and they’re the ones who will think that your world-building is unbelievable. No matter what you’re writing, you always have to think of your reader and how they will react to what is happening. Then: “What are publishers looking for?”. Mr Cunningham said “voice” straightaway, which was met by a lot of nods from the others on the stage. Ms Sophia Bennett explained how she learnt, from visits with her editor and agent, to be ruthless with her manuscript. Her readers don’t care if she can write a beautiful paragraph and use long words with countless syllables, they want to know about the characters and the plot. And then she said that she hacked huge chunks of flowery prose out of her books because she knew that if she didn’t, no publisher would be interested. There was a nervous murmur across the audience, no doubt thinking about the flowery prosed dream sequence that they were immensely proud of. Ms Craig explained that when she reads a book for review she gives it 1000 words and if it hasn’t grabbed her by then, it probably won’t. Even though it’s scary, it’s true. And it’s important, especially if any of you guys are trying to find an agent and have looked at their submission guides and recoiled in fear at the fact that they only want to see the first three pages. Because how can they make their decision on the first three pages?! HOW? It’s obviously not fair and they haven’t given your writing enough chance to get going? HOW CAN THEY DO THAT?! Well… I guess like any of us can. When I pick up a book I can usually tell within the first chapter or so whether I’m going to finish it. Maybe I’m just ruthless when it comes to books, but I’m more likely to give up on a book after the first chapter than penultimate one. So we have three pages to wow… no pressure. On the decision as to whether you actually need a publisher at all, Mr Cunningham explained that even though you may be able to come up with the raw material and a fantastic voice, writing is still a craft. Your voice might be strong, but you still need a plot. Ms Craig raised a fantastic point when she suggested that a lot of writers find it difficult to adjust from being an amateur to being a professional. A professional in the way that you can’t spit your dummy out if your editor, who has probably been doing this a lot longer than you have, suggests that you should skip a character or a plot point is a bit confusing and needs more work. Mr Burgess agreed but then said that publishing a book is all about teamwork and that you have to have a good vision and faith in your novel, standing up for yourself and your book and not just agreeing with them in order to get a chance of publication. I guess that’s the importance of having an editor that you can trust and knows you and your writing well. Because they’ll know how much they can get away with and you know how much you can. I can’t really remember how we got onto the subject but Mr C told us that his first job in publishing was dressing up as a puffin. (For which I can only assume was something to do with Puffin books… although you never know, those crazy publishers). But he said that he’d never lost his “consumer sense of wonder” and that when he picks up a manuscript for the first time, he reads it for entertainment and then with a critical eye. Ms Craig agreed and explained that what she’s really looking for in a book is something that will make her forget she’s a critic. She’s looking for a story that she can get lost in. I loved this because, and I’m sure a lot of my fellow bloggers will agree with me, I find that the books I enjoy the most are the reviews that I can’t write because I’m so busy inhaling the books that I forget to take notes. And I don’t mind that at all because I’m a reader first. Mr Cunningham then suggested that the reason why the Harry Potter series are so well-loved is because of the humour and then explained that British writers are great at writing it. He explains that kids, who are so used to TV and films, are interested in dialogue. And it’s because they can get it from other mediums that it really needs to stand out in the books that they read. Mr C believes that authors can get away with “one big lie” like, for example, there is a world in the back of a wardrobe or that wizards exist… wait…. What? A lie?! So once they’ve taken that lie, the rest of the book relies on the characters and their interactions and how they deal with this lie. Ms Bennett suggests this is the reason why the most popular children’s books involve some kind of group so they can bounce off each other. Ms Craig then laughed and announced she was looking for books with adults in them, because they seem to be lacking at the moment. And I chortled… because where are all of the adults in YA fiction? She said that this was because they are authority figures and they set the boundaries and the rules, whether at home or at school. These boundaries and rules that kids either stick to…. Or break. Someone from the audience asked whether publisher and agents are influenced by the promise of sequels when considering who they will represent. Ms King explained that publishers are, in effect, business managers. They’re looking for something that children will stick with for a long time and will buy into, both figuratively and literally I guess. But then she suggested that if you are a writer and you are planning sequels it is probably better if you look for an agent. Bennett then said that writing her second book in the series was difficult because she had already started to get feedback from people on her first book. She explained that it was a struggle to write the book without being drawn away from her original idea without thinking “Oh.. well, such and such didn’t like that part…” and changing it. I believe her advice of “Keep it authentic to you” was fantastic, because at the end of the day, it is your book and, even though you want people to like it, not everyone will everything. And other people might love something but hate something else. And if you change it every time someone doesn’t like something, you’ll end up with nothing. Or in a muddle/pickle/a muddy pickle. Cunningham stated that “Kids believe there is more life to characters that they love and want to know more”, which explains the popularity of sequels, trilogies and series’. I thought this was interesting because I know that a lot of adult YA readers absolutely hate sequels, something that I’ve never really understood. Because I kind of love them. But only when a book needs one (Ms King and her lovely shoes seemed to agree when she said “There’s not always enough material for a sequel. Don’t stretch it out” which is a much more eloquent way of putting words to my eye-rolls when an author writes a sequel that doesn’t need to). Like Mr Cunnigham said, if you’ve done it well and you’ve still got more to tell, kids will always adore to read more of it. Then Ms Craig explained the difficulty of trying to review a series, because it ends up getting tedious and hard to review a book when you don’t know if they’ve read the first one. I know a lot of bloggers will sympathise with this. I know I do. Which is why I write letters to the characters to avoid writing real reviews and dodge that bullet. Muhaaaaha. I win this round, authors fond of sequels. Another member of the audience then asked how an aspiring writer should choose an agent. She reiterated the importance of looking on their website, looking at their up-to-date submission guidelines, client lists and gut instinct. And then, as the session was almost over and pretty much everyone had their hand in the air for more questions, it was decided we had chance for one last question. People scrambled across seats and stampeded towards the poor lamb with the microphone and the man who got there first asked: Is there such thing as a saturated market? Which I thought was a great question… yet did feel sorry for the woman who had been elbowed out of the way lying under the seat, nursing what looked like a broken rib. It was more the aisle area. Mr Cunningham said that some things get overcrowded. But he didn’t mention what. Although we all peered through the dark looked knowingly at each other and smiled because we know what he’s talking about. But then he said that there are some exceptions to the rule because if an author can find a different spin on it… like a vampire mouse, then it doesn’t matter. But before you guys get any funny ideas… I’ve already written a book about a vampire mouse and copyrighted it… SO DON’T EVEN TRY IT. Ms King advised that authors shouldn’t write a book about something that is popular because, at the end of the day, you need continuity in your writing. And if you write a huge series about vampire rodents because they’re in this year…. Chances are they won’t be in next year. Which is a bit of a poor example by me because vampire rodents are alwaysin. Sneak peak of the new book by moi. Here’s Vlad. He’s a vampire…and a mouse. Also, he has half a tail, why? I hear you ask? But um.. why doesn’t he have feet? I also hear you ask. Um… because they’re cold, so he’s lying on them. I wish that I was a better journalist so you could have had a chance in hell at knowing what I was blathering about asked your own questions and focussed more on what the publishing industry experts were talking about rather than their shoes or what they looked for in a refreshment. But I hope this was a little helpful, because it was really difficult to convey how useful, fascinating and entertaining this hour was. One final piece of advice on a sure fire way of getting you book published from yours truly: If you find yourself attending a masterclass on how to get published: Bring a torch. Thanks Flann (and Maureen! )… is that better? I know I need pictures but I was scared that my flash would set off some kind of alarm and I'd be removed with force. I've gone through tap-tapping gleefully though, hopefully it'll make it easier to read. We should do a readalong. I've acquired a copy of Junk (or Smack as you Americans call it… losers), if you fancy it soon? 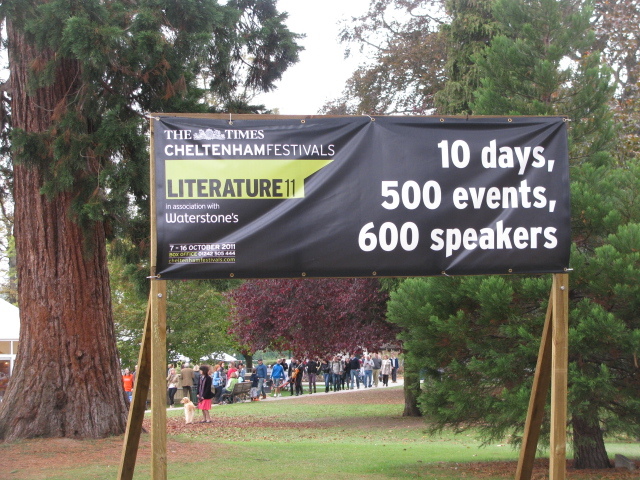 Thanks for posting about Cheltenham – I envy you your seat in the hot theatre with so much to see and hear.